Thank you for visiting our website. Please take a look around to find out more about us. 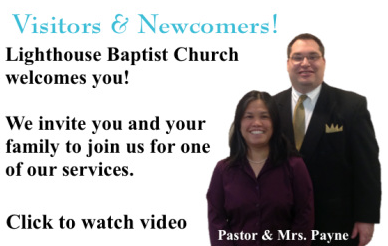 The Lord has been doing great and mighty things in our church and we invite you to be a part of it. Please drop by at one of our services! You will find Sunday School for all ages, old fashioned preaching and friendly people eager to greet you and make you feel right at home. If you have a prayer request, please email it to us and know that we will be praying for you. We also have audio sermons to help you in your growth as a Christian. 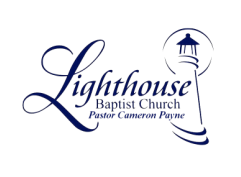 We are looking forward to meeting you and hope you will stop by Lighthouse Baptist Church for a visit soon.